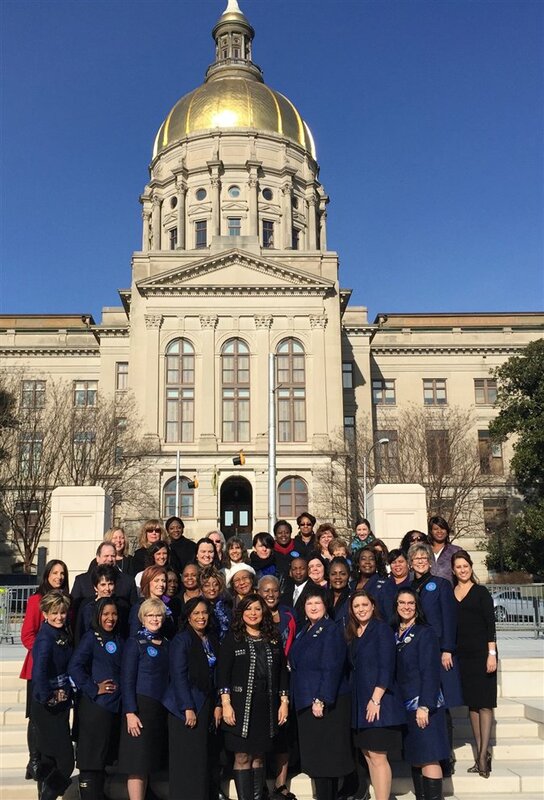 When you think of a lobbyist, you probably don’t think of the Mary Kay independent sales force, do you? 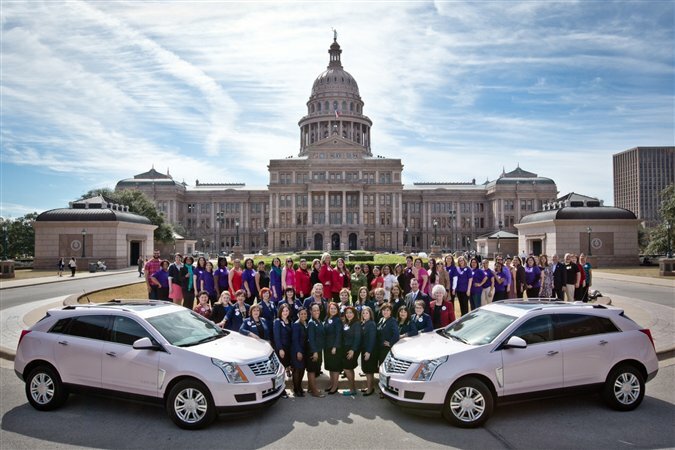 Turns out, the Mary Kay ladies with their pink Cadillacs in tow are a pretty convincing crew. Each year, Mary Kay partners with domestic violence coalitions across the United States to stand together against domestic violence. 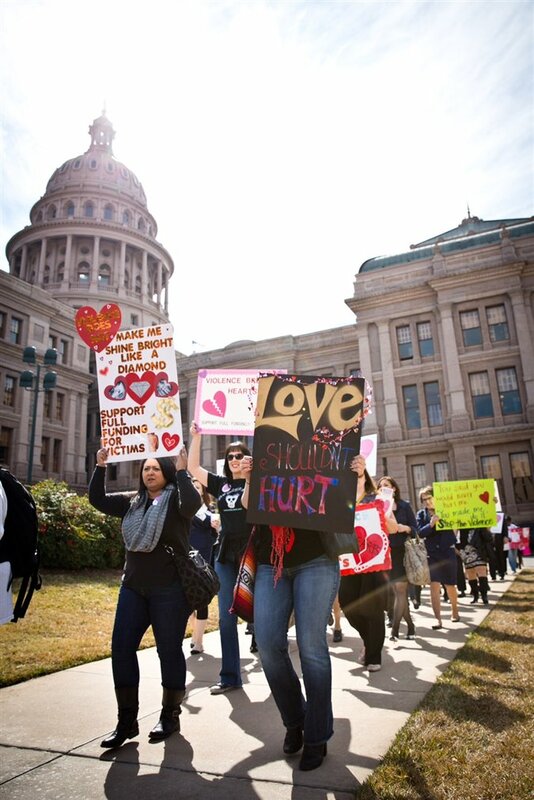 We lobby for laws that protect survivors of abuse and fund life-saving programs. Already this year, we've been in Sacramento, Austin and Atlanta and there's no telling where we'll pop up next! 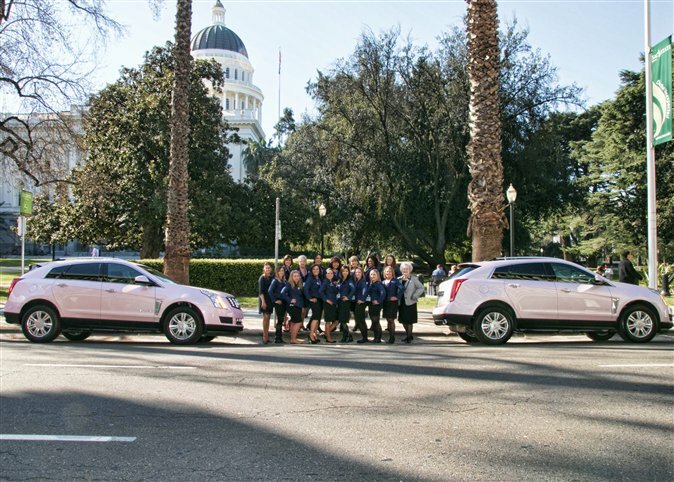 Be on the lookout for those pink Cadillacs in front of the Capitol in your home state! I love the physical location of my office. I work next door to long-tenured employees who share their personal experiences with our founder, Mary Kay Ash. I've been told that Mary Kay is responsible for our Lobbying for Good program. In the 80s, when insurance companies didn't pay for mammograms, Mary Kay asked our current vice president of public affairs - Anne Crews - to go to Washington and help advocate. Fast forward to today, Mary Kay's Corporate Social Responsibility and Public Affairs teams work together to continue this important work. If you’d like to learn more about Mary Kay’s Lobbying for Good program, take a look at our video. Have you ever talked with your state legislator? Tell us about your experience. Today's blog post is from Kirsten Gappelberg who has what she considers to be her dream job. As Mary Kay's Corporate Social Responsibility Manager, Kirsten builds programs to support the company's charitable efforts to transform, inspire and empower women's lives around the world.